So far, I’ve compiled four Black Chalk puzzles, one UK-style and three US-style crosswords. Links to all four are below. 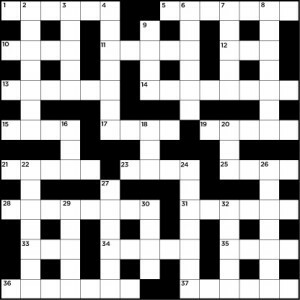 UK-style crossword here: heavily Black Chalk-themed; you’ll probably need to have read the novel to complete this. Three US-style crosswords, 1, 2 and 3: more of a general literature theme on these; each one is linked to Black Chalk, but you won’t need to have read the novel to be able to solve and enjoy them.